Dalton J. Leyes appeared Monday in the Fayette County Court of Common Pleas on charges of compelling prostitution and unlawful sexual conduct with a minor who is allegedly 15-years-old. During Monday’s hearing Leyes attempted to have his attorney dismissed but was told by Steven Beathard, Fayette County Common Pleas Court Judge, that he needs to cooperate with his attorney in the case. A 20-year-old Washington Court House man charged with compelling prostitution and unlawful sexual conduct with a minor attempted to fire his attorney Monday, only to be told that he would have to cooperate with the judicial system because the judge is not willing to postpone his trial date any longer. Dalton J. Leyes appeared for a hearing in the Fayette County Court of Common Pleas with his attorney, Kathryn Hapner, for charges on an indictment handed down by a Fayette County grand jury. According to the indictment, Leyes allegedly knowingly induced, procured, encouraged, solicited, requested, or otherwise facilitated a 15-year-old minor to engage in sexual activity for hire and engaged in sexual conduct with the minor at some point between the dates of Sept. 1, 2015 and April 17. During Monday’s hearing, Leyes said he had attempted to contact Hapner but said that when he called the office, she was never there. “I understand she is a very busy woman,” said Leyes, who then requested that she be dismissed from his case. “I talked to [attorney Richard Federle] and talked to him about retaining him. I started a job at Sugar Creek,” said Leyes, who declared on record that he has so far saved about $400 of the $1,000 attorney retainer fee. Leyes asked for a continuance of 45-60 days in order to be able to procure the rest of the attorney retainer fee. “This is a recent case. He has posted a significant bond but this is a significant case,” said Common Pleas Court Judge Steven Beathard. According to court records, Leyes’s bond was set in May at $10,000 cash/surety or $1,000 own recognizance. Jess Weade, the Fayette County Prosecutor, said the state is opposed to allowing Leyes an additional 45-60 days to retain new counsel because the state would have to postpone the scheduled trial date, and discovery in the case has already been completed. Judge Beathard said Leyes was refusing to cooperate with his attorney. “Ms. Hapner is your attorney. I suggest you set up an appointment to discuss your case. You have to cooperate with your attorney,” said Beathard. According to the record, Leyes had called Hapner’s office several times but had never attempted to set up an appointment. Beathard told Leyes that he can obtain his own counsel, but if he talks to new counsel they would have to be prepared for the Dec. 6 trial date. 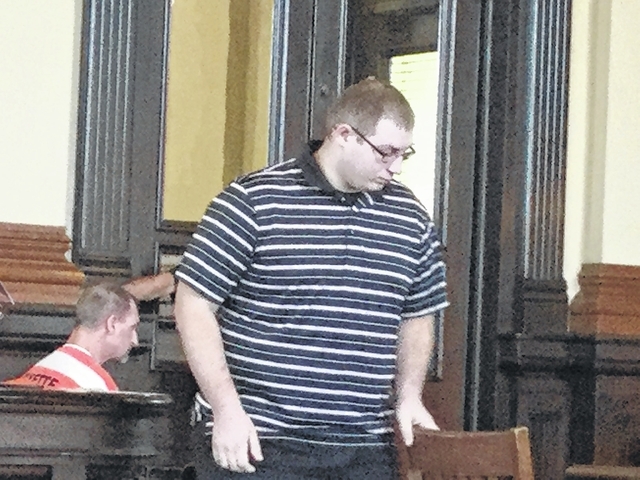 Leyes is scheduled to appear in the Fayette County Court of Common Pleas for a pre-trial hearing Monday, Nov. 14 at 10 a.m. and trial is set for Tuesday, Dec. 6 at 8 a.m.
https://www.recordherald.com/wp-content/uploads/sites/27/2016/09/web1_Leyes.jpegDalton J. Leyes appeared Monday in the Fayette County Court of Common Pleas on charges of compelling prostitution and unlawful sexual conduct with a minor who is allegedly 15-years-old. During Monday’s hearing Leyes attempted to have his attorney dismissed but was told by Steven Beathard, Fayette County Common Pleas Court Judge, that he needs to cooperate with his attorney in the case.